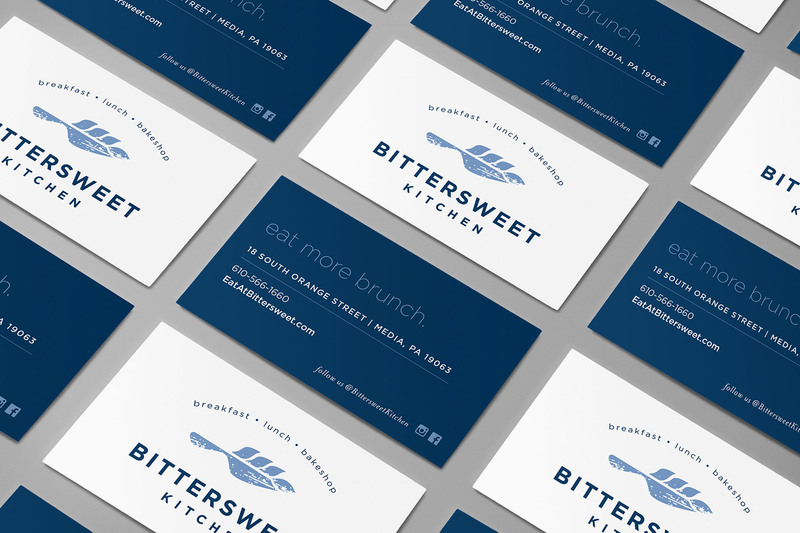 A logo and identity for a restaurant located in Media, PA. 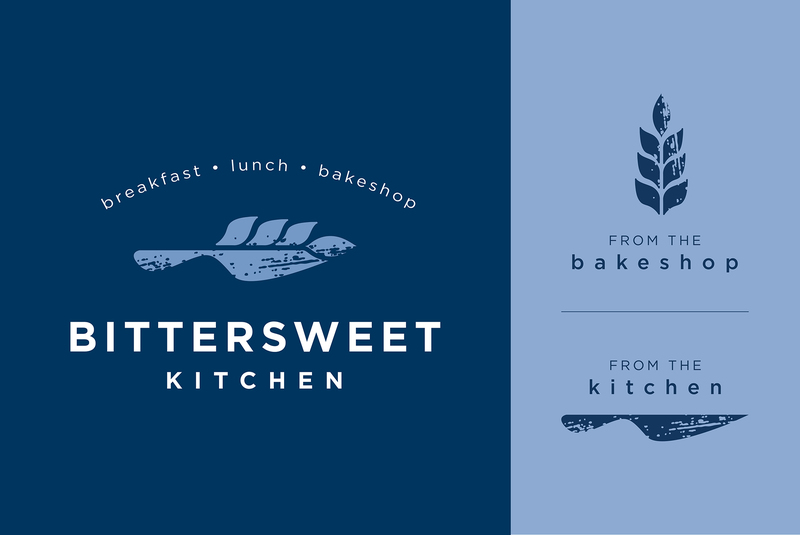 Bittersweet Kitchen features scratch-made baked goods, served at the restaurant and available to-go. The food is considered upscale homestyle: a mom-&-pop vibe meets city-chic. 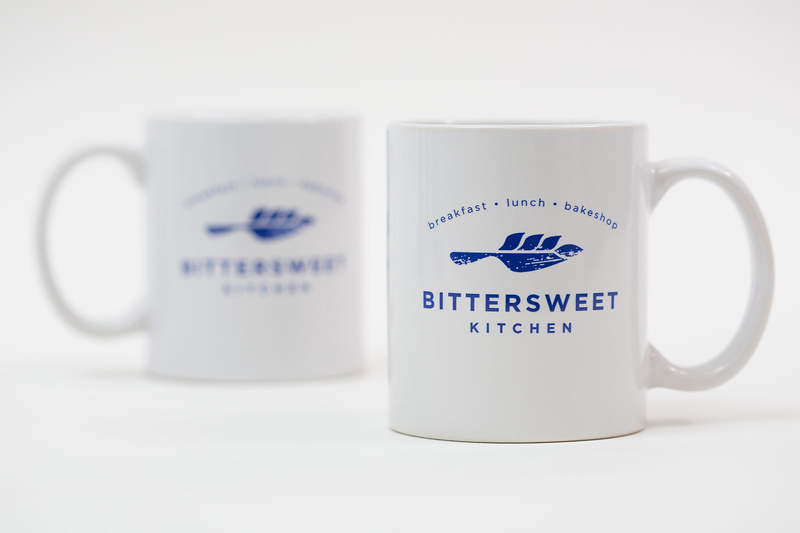 The goal was an approachable logo that was both clean and rustic. 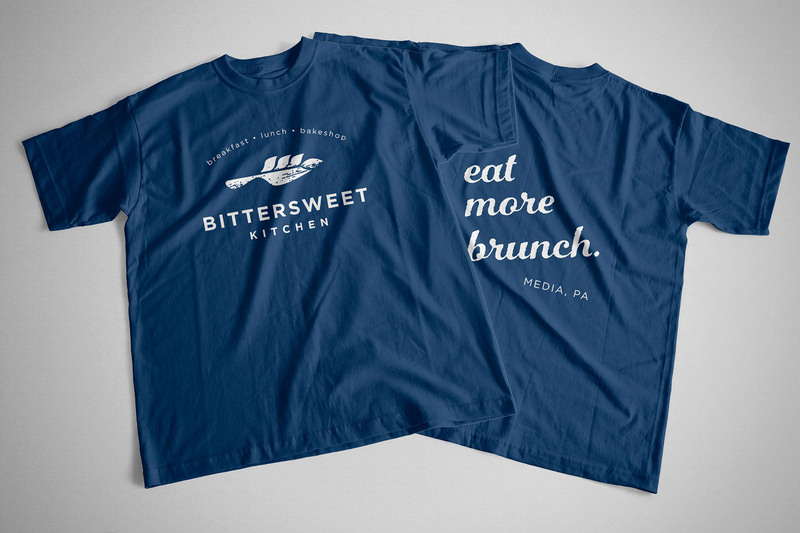 The solution was a graphic made from a knife and grain ear with a distressed texture. 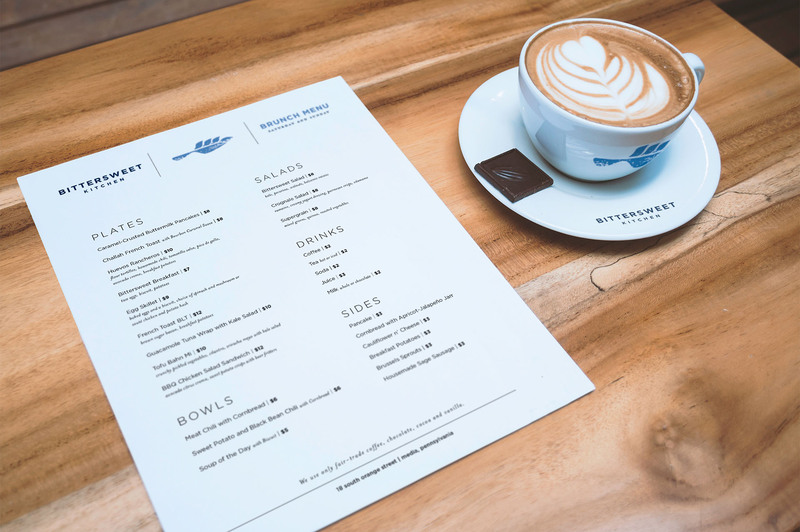 The knife references cooking and the wheat reflects the restaurant’s concentration on baking.